Carolyn E Green was a serial entrepreneur in the life sciences community and a leading voice for women in the sector. In her short life she managed to found and head up numerous companies and held many leadership and sales positions in the biopharmaceutical industry. Her crowning achievement was to be hired by Pfizer to head up its new strategic research and development investments initiative. This entailed working with the corporation’s venture fund to establish partnerships with early-stage companies. Green’s enduring patience and strong mentoring skills, together with her passion to develop products to help patients, set her apart from many others in the biotechnology world. Carolyn Green grew up in the northern suburbs of Pittsburgh. She was the youngest of two daughters born to Jean and Howard Norris. Both her parents had a humble background. Her father was an electrician and her mother a secretary/ administrative assistant. Green’s life was touched by tragedy early on. When she was just 10 years old she lost her older sister, Laurel, who died at the age of 13 after sustaining a head injury. With her parents consumed by grief, Green rapidly developed a strong sense of independence. She suffered more trauma in her early twenties when her father suddenly died of a pulmonary embolism in his early fifties. It happened just a couple of months before she was due to get married. Having no sibling or close relatives to turn to, Green looked to her friends as her family and was always there for them whenever they needed help, whether it to be to lend a hand with their newborn baby or talk through their options for cancer treatment or any other health issues. Full of enthusiasm and energy, Green’s magnetic personality and laughter always lit up the room she entered. Green married twice and was just as passionate about caring for her family as she was about pursuing her career. Her first husband, whom she married in 1990, was a sheet metal worker. The couple had two daughters, the first, Caitlin, born in 1991, and the second, Casey, born in 1992. They divorced in 1999. Green went on to marry again in 2001. Her second husband was Adam Green, an expert in computers and a keen photographer. The two of them originally met while working for a company for which they were selling software to help in the engineering and chemistry sectors. Adam had a son and a daughter by a previous marriage. They had a very happy marriage and shared many interests, including travelling, walking dogs and sailing. In addition they were deeply involved in Social Venture Partners Pittsburgh, a community of philanthropists that use their expertise, skills and finance to help people with social problems. Bright and outgoing, Green stood out for her inquisitiveness and was always on the lookout for opportunities to learn. As a child she attended the local schools in her Pittsburgh neighbourhood, firstly Highcliff Elementary School, then West View Junior High School and finally North Hills High School. One teacher in particular inspired her - her chemistry teacher at North Hills High School. It was he who awakened her interest in science. Green excelled at school and was a passionate debater, winning the annual tournament in her final four years of school. By the time Green finished school, she had attained the highest scores for getting into university. While she had an offer to study at Johns Hopkins University, she opted to go to the University of Pittsburgh. This was because her father’s electrical union offered her scholarship to go there, which covered all of her fees. Green completed a four-year degree at the University of Pittsburgh in chemistry, mathematics and education in 1987. This was not the end of her studies. In 2001 she undertook a one year business degree at the Joseph M Katz Graduate School of Business affiliated to the University of Pittsburgh. She did the course while simultaneously working and looking after her two young daughters. Eight years later Green participated in an executive education programme for pharmaceutical and biotechnology industry leaders run by Harvard Business School. After a few years at Mobot Inc, Green became the founding director of the Office of Enterprise Development (OED) at the University of Pittsburgh. Launched in 2001, the aim of the OED was to provide a hub for the commercialisation of innovations emerging out of the university’s many health sciences schools, including the University of Pittsburgh Cancer Institute and the McGowan Institute of Regenerative Medicine. Some idea of how big an operation this was can be measured by annual $650 million the university receives in National Institutes of Health funding. In the five years that Green was at the OED, she facilitated the setting up of a dozen spin-out companies that emerged out of the university’s research. In addition, she helped create and launch a 14-week, CME-accredited course at the university called ‘From Bench Top to Bedside, What Every Scientist Needs to Know’. This course aims to educate academic research scientists, postdocs and graduate students in information necessary for translating basic research discoveries into clinical applications. More than 400 physicians and scientists have completed the course since it started in 2001, with many of them going on to see their ideas become products. The venture capital came with strings attached. It was given on the basis that the company move its headquarters to Boston. This was because investors believed the company stood a better chance of recruiting the managers and scientists it needed there. The move was a major upheaval for Green, who up to that point had spent her whole life solely in Pittsburgh, but she relished the new adventure. Disappointingly the results from the next clinical trials, completed in 2010, were not as strong as hoped for. This led to the closure of the Logical Therapeutics. The company’s fortunes were not helped by the negative publicity surrounding Vioxx, a new painkiller produced by Merck, which was found to have unexpected cardiovascular risks. Adding to the company’s woes was the collapse of the financial market which hampered its effort to secure further funding. The $79.4 million raised over the lifetime of the company was far from sufficient to cover the development of the other products and keep the company running. Following her time at Logical Therapeutics, Green went to work for Morningside Group. Set up by a Hong Kong based family in 1986, Morningside is a private equity and venture capital firm that specialises in providing seed funding for startups. In 2011 Green helped set up Morningside Technology Advisory group which was directed towards working on early stage life sciences investments. Green stayed with Morningside until 2014. Another company Green became involved in through Morningside was Stealth Peptides (now Stealth BioTherapeutics). Founded in 2006 with technologies licensed from several academic institutions, Stealth Peptides had received more than $100 million investment from Morningside by 2015. Green joined the company as its chief operating officer of the company. The company’s focus was on the development of drugs for orphan mitochondrial diseases and diseases in major therapeutic categories involving mitochondrial dysfunction. (Stealth Biotherapeutics press release, 9 Jan 2009). In 2015 Green changed direction to become Pfizer’s director of strategic investments. This was a major change for her because she had never worked for such a big company before. She quickly grasped the dynamics of Pfizer, however, and made her mark. Green’s role was to help Pfizer build out its new programme directed towards making equity investments in early stage companies on the cutting edge of scientific innovation that matched Pfizer’s core interests. Pfizer traditionally had little experience of partnering with startup companies, so needed someone to manage the initiative who had a passion for working with such companies. Green, known as a go-getter and ability to never get red tape get in her way, was an ideal candidate for such a venture. Within a year she had helped Pizer invest $46 million in four companies at the early stage of the discovery process. The companies were involved in the development of novel immuno-oncology drugs, neurodegenerative technologies and gene therapy. (Pfizer, press release, 8 Jan 2016) Sadly Green died at the age of 52 in April 2017, one and half years into the job. By the time of her death she had pulled together two further partnerships for Pfizer with startup companies, one focused on the development of RNA-targeting molecules (Adams, 2017). Green’s story is remarkable by virtue of the number of companies she helped found and lead. In addition, she served on a number of boards including NextCure Inc., Metabomed LLC and Harvard’s Beth Israel Deaconess Medical Center. She was also Entrepreneurial Fellow of the Institute for Entrepreneurial Excellence at the University Of Pittsburgh Katz Graduate School Of Business. Part of Green’s success was down to her energy and ability to look and assess business situations very quickly. She also had a gift for knowing how to make constructive criticisms without ruffling feathers and to deliver a radical message in a non threatening manner. People greatly valued her calm and reasoned approach in meetings. Her ability to address both scientific and management audiences comfortably was also a huge advantage. This was aided by the confidence and skills she developed as a debater at school. In addition to her own achievements, Green was renowned for the strong support and encouragement she gave to women in the biopharmaceutical sector. Just how much she did in this field can be judged from the fact that in October 2014 she was given the Catalyst Award from the Science Club for Girls in recognition of her work in advancing women in science and entrepreneurship. Frustrated by company boards being made up mostly of men, Green was always looking for ways to move women forward. For her the answer did not lie in offering women more training, because, as she said, they already possessed the expertise to sit on a board, but rather to change the culture of men inside the boardroom. This article was written by Lara Marks with generous input from Donata Barber, Sarah Cardozo Duncan, Babs Carryer, Adam Green, Laurie Halloran, Sree Kant, Mark Leuchtenberger, Ivana Magovcevic-Liebisch, Barbara Sosnowski and Lara Sullivan. B Adams, Pfizer, Celgene-backed upstart Arrakis hopes to mine RNA spice, FierceBiotech, 27 Feb 2017. Bizwomen, Meet your mentor: Carolyn Green. Mitch Fink and Carolyn Green interview, Entrepreneur’s Experience, University of Pittsburgh, 2007. J L Goldstein, et al, ‘Clinical trial: endoscopic evaluation of naproxen etemesil, a naproxen prodrug, vs. naproxen – a proof-of-concept, randomized, double-blind, active-comparator study’, Alimentary Pharmacology and Therapeutics, 32 (2010), 1091-1101. D P Hamilton, Logical Therapeutics raises $30M, relocates to Boston area’, Venture Beat, 14 June 2007. M Kershavan, Women demand more clout in biotech. First step? Take charge of the money, STAT, 10 June 2016. E Miseta, Outsourcing insights from the president of a virtual drug discovery company, Clinical leader, 15 April 2013. North Hills School District, 2017 Distinguished Aliumni. Pittsburgh Post Gazette, Biotech startup moving to Boston, 14 June 2007. 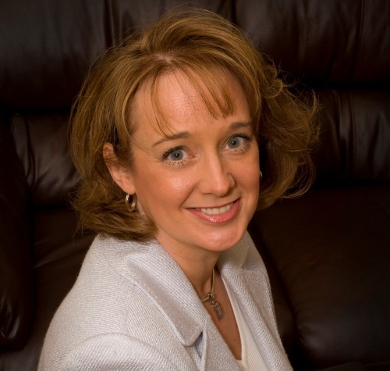 Regenerative Medicine Today, Podcast #7 - Carolyn Green. University Times, University of Pittsburgh, Obituary: Carolyn Green, 27 April 2017. R Zacks, For Logical Therapeutics It’s a New City and a New Approach to Anti-Inflammatory Drugs, xconomy, 13 Dec 2007.